Abilene Shakespeare Club, 1910. Image courtesy of the Grace Museum of Abilene, TX. Amateur theater groups of all stripes, however well intended, have long been a target of parodists—and the Shakespeare clubs proved to be no exception. In 1896, shortly after completing a stint as the instructor of the Dartmouth Dramatic Club, acting coach Belle Marshall Locke wrote The Hiartville Shakespeare Club: A Farce in One Act for Girls. It proved to be a small-scale hit; Locke’s skit was a staple of community theater and school thespian groups for more than four decades, and the script went through several editions and printings. 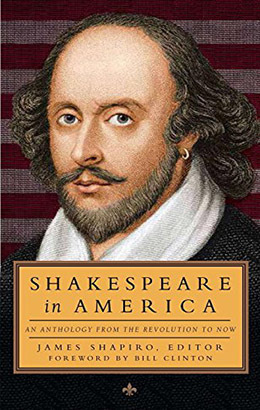 Additional information about Locke and about the rise of Shakespeare clubs can be found in James Shapiro’s headnote on the first page of this week’s selection.